This is the final post in our four-part blog series exploring not just the problem with plastic, but the huge opportunity for business to take a positive stand in the face of the biggest environmental catastrophe of our time. Getting rid of unnecessary plastic from products, packaging, production and in the supply chain has quickly become a “competitive issue” for business. That is certainly the view of Colin Church, CEO of the CIWM, the voice of the waste management sector. As we’ve explored in this blog series, inaction on the unsustainable use and disposal of plastic is increasingly unacceptable. Companies will continue to be attacked from all angles on this subject, and not just from the usual suspects. Yes, the NGOs will play a bigger role, but a wider range of stakeholders are now getting in on the act, from opportunistic politicians to angry supermarket shoppers. Optimistically, a growing band of businesses have already heeded such advice, launching campaigns, making commitments and taking bold, decisive and impactful action on plastics. One of our greatest national institutions has promised to remove single-use plastics from its operations by 2020. “Like millions of people watching Blue Planet II, I was shocked to see the avoidable waste and harm created by single-use plastic,” said director-general Tony Hall. He wants his organisation to lead the way. First, plastic cups and cutlery will be scrapped by the end of 2018, a move that will displace more than two million plastic cups used by BBC staff each year. In 2019, plastic containers will be removed from canteens. Then, any new contracts which come up for tender will include a requirement to cut single-use plastic. The frozen food supermarket has vowed to eliminate plastic packaging on all of its own-brand products within the next five years. It will replace all plastic with trays made from paper and pulp. It appears the chain was prompted into action by customers. A recent survey suggested 80% of shoppers would endorse the move to go plastic-free. MD Richard Walker said the “onus is on retailers” and ”there really is no excuse any more for excessive packaging that creates needless waste and damages our environment”. Continuing on from the media giant’s commitment to try to protect the one billion Amazon rainforest trees, its latest multimedia campaign throws a light on ocean plastic waste. As such, it plans to remove all single-use plastics from its operations, products and supply chain by 2020. From the end of last year, all new products now have to be made without plastic that is used once and then thrown away. 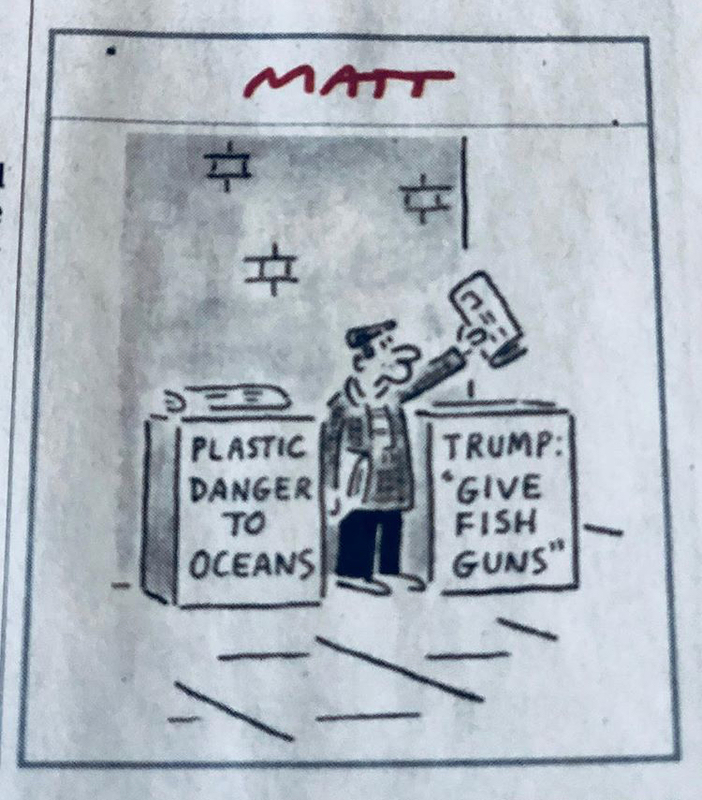 Oh, and there is also a £25 million Ocean Rescue Innovation Fund that will be used to help start-ups develop and scale-up technology that could rid the world of single-use plastics forever. With a target to use 100% recyclable and/or recycled materials by August 2020, the flatpack retailer invested heavily in a big Dutch plastic recycling business to help them get there. It also has a separate clean tech venture fund, called IKEA GreenTech, which will spend €60 million in “clean tech companies that make a difference for our customers”. The IT beast renewed its Legacy For Good commitments once it merged with EMC in 2016. Now, there’s a much bigger focus on plastics, with 94% of Dell packaging by weight being recyclable or compostable and plans to open-source its supply chain to encourage a much broader use of ocean plastics by other companies. Late last year, Dell, along with Interface and General Motors, also announced plans to build and support the world’s first commercial-scale supply chain for plastic that would otherwise have ended up in the ocean. To deal with everybody’s PET hate, the business joined forces with the bottled water division of Nestlé, as well as the Californian start-up Origin Materials, to attempt to commercialise 100% bio-based plastic bottles. By 2020, the collective hope to produce commercial quantities of bottles from the new material.